The CRL is LTA’s eighth MRT line, and the longest fully underground line. When fully completed, it will serve existing and future developments in the eastern, western, and north-eastern corridors, linking major hubs such as Jurong Lake District, Punggol Digital District and Changi region. The projected daily ridership of the entire CRL is more than 600,000 in the initial years, increasing to over one million in the longer term. LTA will construct the CRL in three phases. Phase One of the CRL (CRL1) is 29 kilometres long, and comprises twelve stations from Aviation Park to Bright Hill. This will serve residential and industrial areas such as Loyang, Tampines, Pasir Ris, Defu, Hougang, Serangoon North and Ang Mo Kio. More than 100,000 households will benefit from CRL1, and common recreational spaces such as Changi Beach Park and Bishan-Ang Mo Kio Park will also become more accessible by public transport. Construction for CRL1 is expected to commence in 2020 and be completed by 2029. Engineering studies are still being conducted for the other phases of the CRL, including the two underground alignment options in the vicinity of the Central Catchment Nature Reserve. 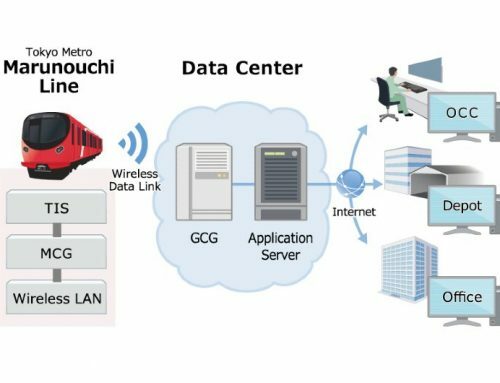 With the improved connectivity, CRL1 will shorten travel times for commuters between the central, north-eastern and eastern parts of Singapore. For instance, a commuter staying at Serangoon North and working at Loyang Industrial Estate will enjoy travel time savings of up to 70 per cent, from 75 minutes by bus today to 25 minutes on the CRL1. 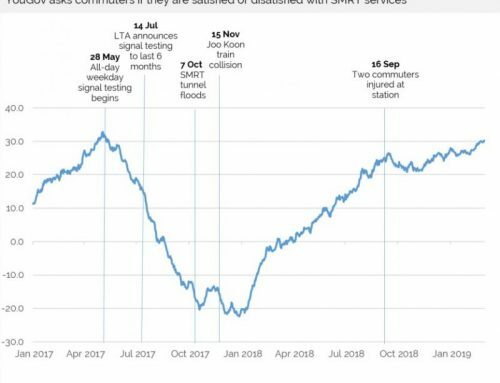 As with the introduction of other new rail lines, LTA will review the bus services in surrounding areas to optimise connectivity to CRL1 and the rest of the rail network. 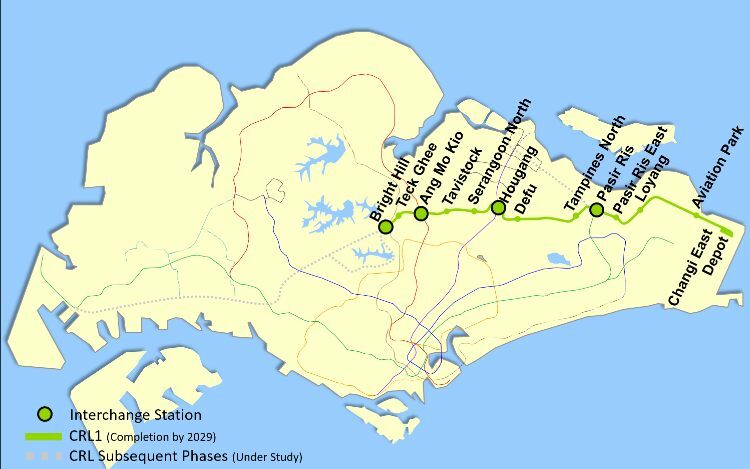 CRL1 will connect to the East-West Line at Pasir Ris Station, North East Line at Hougang Station, North-South Line at Ang Mo Kio Station, and the upcoming Thomson-East Coast Line at Bright Hill Station. This multiplies the travel route options for many commuters’ journeys, thus enhancing the connectivity and resilience of our overall rail network. A new 57-hectare depot at Changi East will be constructed at-grade to provide stabling and maintenance facilities for up to 80 CRL trains.